Home F1 Briatore: "Ferrari slow? The car is like that for eight years"
Briatore: "Ferrari slow? The car is like that for eight years"
The Italian criticizes the Scuderia harshly and questions the organizational chart that drove this winter: "Mattia Binotto is a great technical director." All were smiles and good atmosphere in the Ferrari garage during the preseason at the Circuit Barcelona Catalunya. Because except for minor setbacks with the exhaust manifold, cooling or the electrical part of the power unit, the SF90 exhibited a much higher speed than the rest of the grid. Until the Grand Prix of Australia 2019. From the inaugural race of the 70th edition of the 'Great Circus', the first two boxes of the podium have been occupied by Lewis Hamilton and Valtteri Bottas, as well as the Scuderia had to use three orders of equipment to enhance the figure of Sebastian Vettel before the thrust of Charles Leclerc and only in Sakhir showed sufficient performance to battle battle Mercedes. 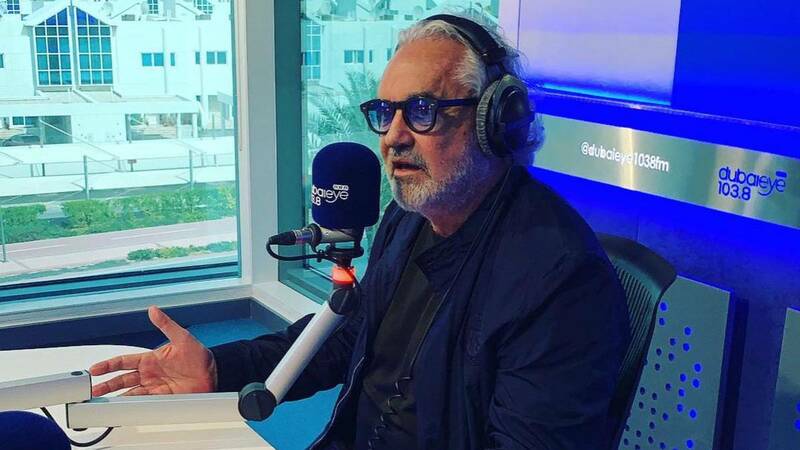 Questioned by this ill-fated start of the Formula 1 World Cup 2019, Flavio Briatore resorts to the irony in the program ' Non è l'Arena 'to later point out that perhaps the organization promoted this winter is not the most suitable: "Ferrari slow? I do not think it's a great novelty, the car has been like this for eight years." Mattia Binotto is a great technical director, but he has also been appointed team leader, in this way, you run the risk of not having a director and losing your technical director ". A few words that stoke a little more the controversy recently raised among the transalpine press that sue Binotto stop protecting Vettel and promote the figure of Leclerc if you want to defeat the silver arrows.